Tangila first became involved with ITV by fostering dogs in 2011. 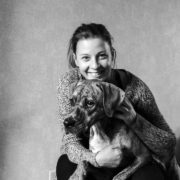 She was hooked after her first foster dog, a pitbull named Loula, who was adopted into a loving forever home. Tangila became more active with ITV and eventually started working full-time, putting her heart and soul into saving dogs. Tangila has a particular interest in helping pit bulls. Tangila is the proud mother of 3 children and 4 grandchildren. She shares her home with a Rottweiler, a Boxer and a Shih Tzu. 2Andrea has been active volunteer, foster and fundraiser for ITV for many years. Andrea works tirelessly to help the dogs of ITV and you will always see her smiling face at ITV events. Andrea is former co-owner of Stockwell Inn, ITV neighbor, and she organizes numerous events to raise money for ITV. She and her family are tremendous supporters and dog lovers. 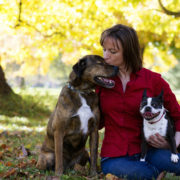 Andrea rescued a Boxer/Pitbull from ITV named Domino and recently said goodbye to her beloved senior dog named Daphne. the world of animal rescue. Since then, Tammy has been active with local and regional rescues joining ITV in 2016. She is a lover of all animals with a special affinity for dogs. This love for animals has lead her to work toward a vegan lifestyle (admittedly still a work in progress). 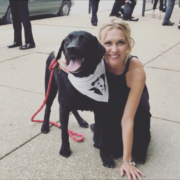 Tammy works as a corporate attorney for Berry Plastics and finds peace and rejuvenation by volunteering with the rescue on weekends. She shares her home with her 3 dogs: Panda, Boston – 1 of the 2 who inspired her to join in rescue efforts; Mr. Coffee – mostly Rottie/Chow Chow/Boxer rescue; and Apollo Creed – Boxer/Staffie/Collie rescue (and only foster failure so far). Terri has been a regular volunteer for ITV for many years, always willing to help at community events and when there are dogs in need. Terri always has a smile on her face and chips in whenever she is needed to help ITV. Terri is a lifelong Evansville resident and she currently works at Uniseal. She is devoted to her family and her rescued dog named Dot. Emily was born in St. Louis, MO but raised in Newburgh, IN. She attended Castle High School and graduated from the University of Southern Indiana. Emily has been employed at Deaconess Health Systems for 16 years, and is currently an IT Supervisor. Dogs have always played an important role in Emily’s life. Growing up she always had family dogs teaching her responsibility, loyalty, and love. 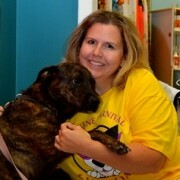 She has been a volunteer with It Takes A Village for many years participating in events and fostering many puppies. Emily has two rescues of her own, Bailey and Wrigley. 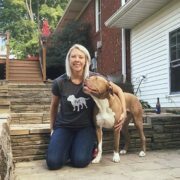 She became a rescue and pitbull advocate when she adopted her first dog, Bailey, not knowing that she was a pitbull. After she started growing it was obvious and Emily had a mission to become an advocate for the breed. Wrigley was a foster that she just couldn’t let go and he became a full time member of her family. Emily, her husband Jeff, and son Cameron welcome the rescue life into their home and love each dog as if they were their own. Each rescue pup earns a picture spot on Emily’s “wall of dog” in her home. 6Jasmine has been part of the ITV family for 5 years. Having a soft spot for Pitbull type dogs, she fell in love with Cassie. She became very close to her and would come spend time with her nearly every day for several years until she was adopted by an amazing family. She has assisted in many ITV events, rescues and adoptions over the years. She has been a hard worker and doesn’t mind helping out anywhere at the rescue. From jogging with dogs, to helping the kennel techs clean kennels, to answering phone calls, Jasmine will be there. After graduating for the University of Southern Indiana, She adopted her very fist dog, Rajah. She has been training Rajah to be her service dog. Jasmine and Rajah enjoy to go on adventures and will often times have several other pups to join in on the fun. 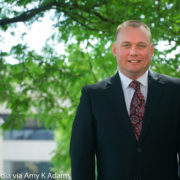 Commitment to a community can take many forms, and Neal Anderson’s commitment to Evansville and the Tri-State area shows in his decision to return to his hometown to start his family and his legal career. As a native of Evansville, Neal attended Reitz Memorial High School and the University of Evansville, where he double-majored in Criminal Justice and Sociology. While at UE, he served as President of the Sociology Club and Secretary of the Criminal Justice Club, and was one of five students selected to present his senior research paper at the Undergraduate Research Conference at Butler University. Helping to ensure the legal rights of individuals is important to Neal. While attending the University of South Dakota School of Law, he was actively involved in the Innocence Project of South Dakota, which is staffed by law students who volunteer to investigate claims of innocence raised by inmates at the South Dakota State Penitentiary. The investigation of these claims required review of trial records, interviews with inmates and counsel, and evaluation of evidence used to obtain the conviction. Neal’s work with this program helped to solidify the work ethic he exercises on behalf of his clients. In the summers between his semesters at law school, Neal returned to Indiana to gain legal experience through internships. He had the honor of serving as summer intern clerk for the Honorable Richard L. Young, Federal District Court for the Southern District of Indiana. The following summer, he interned with the Honorable Melissa S. May, Indiana Court of Appeals, in Indianapolis. During his third year of law school, he was nominated by students and faculty to be the student representative on the Admissions Board for law school admissions. Following the receipt of his law degree, Neal returned to his hometown and served the legal needs of the Tri-State as an associate attorney with Zoss Law Office for five years, practicing family law, personal injury law, criminal law, and small claims and collections. His experiences throughout law school and as a practicing attorney have helped to shape Neal’s determination to thoroughly represent his clients, and as a member of the Gerling Law team since 2014, he brings a renewed energy and focus to serving the people of Evansville in many capacities. Neal is married to Melanie Anderson and has two children, Emma and Ethan, and two beloved Shih Tzus named Zoey and Lilly. Neal, as an avid animal lover, is also a current Board member at It Takes a Village, Canine Rescue, located in Evansville, IN. Susan is one of the original founding members of ITV. 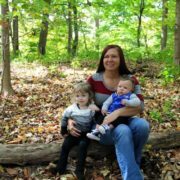 Susan started volunteering for Evansville Animal Control in the summer of 2010 after returning to her hometown of Evansville from Indianapolis. 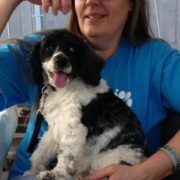 Seeing the dire need to help animals in Evansville, Susan worked with a dedicated group of volunteers to formally form ITV in November 2010. Susan has devoted her heart and soul to ITV since its inception. Susan is a lawyer and helped form the Vanderburgh County Animal Cruelty Task Force. She served as a volunteer Special Prosecutor for the task force from 2012-2015. Susan successfully prosecuted numerous animal cruelty cases resulting in guilty pleas or convictions. Susan is also one of the founding members of the Evansville Partnership for Animal Welfare (EPAW). Susan has the unwavering support of her husband, Patrick. Patrick is the Director of Social Entrepreneurship at Rollins College, a wealthy private university in Winter Park, Florida. After living in Evansville for 10 years, Patrick began his job as Director in January 2017, but Susan stayed behind in Evansville for over a year to continue to help ITV. In February 2018, Susan followed her husband. However, Susan remains dedicated to the success of ITV, working remotely writing grants, promoting ITV and ITV’s homeless animals through social media, preparing ITV’s legal and tax requirements, helping with donor management and office work, creating and managing fundraiser events, preparing monthly financial reports, responding to emails and messages, as well as numerous other duties in support of ITV. Susan has secured tens of thousands of dollars in grants and donation money for ITV in her capacity as a Consultant. 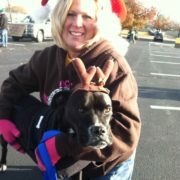 Susan travels back to Evansville monthly (at her own expense) to help ITV with fundraising and adoption events. Susan also works part-time as a teacher. Susan and Patrick share their home with 2 dogs and countless foster dogs that have come and gone! At one point, they were proud guardians of 5 rescue dogs and a rescue horse. Susan and Patrick also passionately support an orphanage in Western Kenya, Patrick’s native country. Susan and Patrick are actively involved in numerous community organizations and are promoting ITV to supporters and potential donors in the Winter Park area. While there are no immediate plans to further expand ITV operations, Susan dreams of ITV one day being a national organization, much like Best Friends in Utah.